Tour highlights and major points of interest include . . .
During January and February the tour operates on a two-hour departure frequency and only on Mondays, Thursdays, Fridays and Saturdays. Learn about Asheville’s early settlers, famous citizens and illustrious authors through interesting stories and colorful anecdotes. See for yourself a city rich in architecture, history and the arts: it's alive and inviting! Enjoy touring at your own pace. Remain onboard the trolley for a comprehensive 1.5 to 1.75 hour tour, or hop-off at any of Gray Line´s 10 trolley stops along the route. 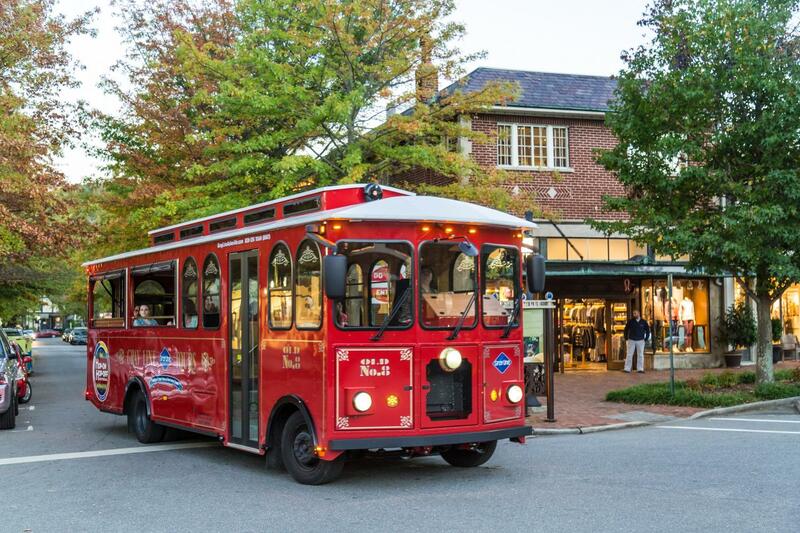 Shop, dine and explore, then re-board the next trolley to continue your tour. For one low price you can take full advantage of our Hop-On, Hop-Off feature by using the Gray Line trolley to tour the city for TWO consecutive days. The pass is non-transferable. Very fact filled and interesting! This was one of the many trolley tours we did so far, and as always we loved it. An easy and fun way to get to know the town and history of it. Tour was fantastic. Guide clearly knowledgeable and engaged. We are glad to hear that you enjoyed the tour. We pride ourselves on having amazing guides that offer interesting and relevant information during the tour. We hope the rest of your stay in Asheville was just as great!